Any fan of science fiction knows that the concept has been around for years. Tell the computer what you want, and voila! Actual food, drink, and assorted useful gadgets materialize. But three dimensional structures that people can live in? That seems too unrealistic even for a work of fantasy. Until now. 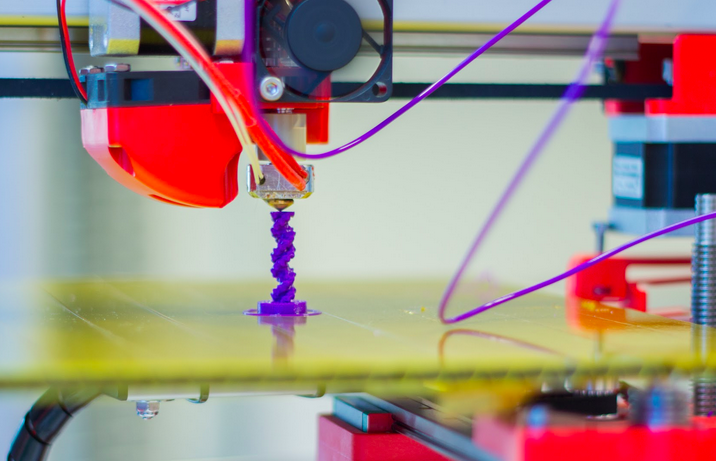 Cornell University's Charles Hull invented the first working 3D printer in 1984, and it wasn't too long before draftsmen, architects, and others in the construction industry began using it to render realistic building models in various stages as work aids. But running plastic through a modified printer is one thing. Concrete and rebar is something else. Or is it? 3D printers are now being used to produce edible food and working airplanes and firearms. So buildings aren't too much of a stretch, provided you have something larger than a tabletop printer. The 3D printers being developed for actual building construction are enormous in scale, and are transported with gantries larger than the structures being constructed. Once in place, these super printers use a process called contour crafting, a layered fabrication method developed by Professor Behrokh Khoshnevis of USC. Khoshnevis says this method can be used to construct either single or multiple buildings quickly. He envisions the 3D construction software method being used to build emergency housing, community housing, or even yes, space colonies. Rather than paper or plastic, these 3D printers use materials like adobe or concrete, and set them down in layers. These materials are thicker than ones currently being used in conventional construction, making them self supporting. Some structure types produced through this method can also be hollow, meaning that some building service components could be placed within them, saving time and money. And houses that have been built with this construction 3D software have all been constructed within 24 hours. Companies in Italy and China are already using this method, with Chinese company Winsun claiming it constructed ten small houses in a single day at a total cost of $50,000. And 3D printing in construction isn't limited to bungalows alone. Winsun's next projects with this method included a villa and an apartment building. The company feels that all costs using this method, ranging from labor to supplies, were reduced by 50-60%.